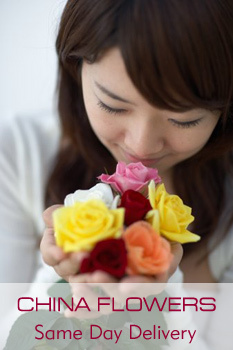 China has florists across the country that can deliver flowers to someone for you. You can send flowers to persons in China with a credit card or PayPal and some planning. 1 Contact a florist that offers the service of sending flowers from people in the United States to people in China. You can search on Google and view they website. 2 Browse the flowers available from the Chinese florist by scrolling through the pictures of bouquets. Look for the specific flowers that your loved one might enjoy or for flowers that are native to China. Many websites offering flowers to be sent from the United States to China offer payment in U.S. dollars. 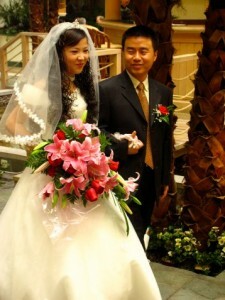 3 Click on the photo of the floral bouquet you want to send to the recipient in China. 4 Type your name, address, phone number, credit card number and credit card expiration date. Type the name, address in China and phone number of the recipient. Enter the date you would like the bouquet delivered to the person. Note the total price of your order including delivery. Note: Don’t forget to compare 2 or 3 florist for the price and quality before you send a flower online. The best way to send flower is send it from a local flower shop. Most of the local flower shops can guarantee that all orders will be delivery within 24 hours (same day flower delivery) if you are not satisfied with the freshness or quality of your flowers for any reason, Most of them will also graciously replace your bouquet or refund your money. Next: Why we Love Lilies!